How to Write an Effective AdWords Ads for Your Paid Marketing Campaign? 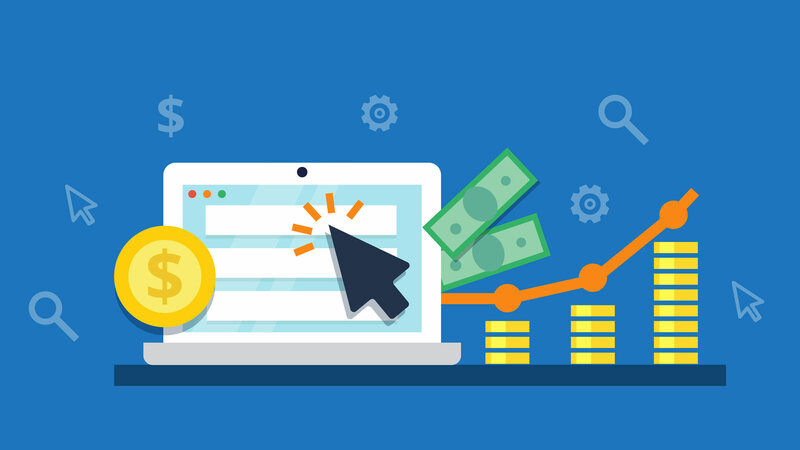 Posted byAtulHost	 January 24, 2018 April 17, 2019 Leave a comment on How to Write an Effective AdWords Ads for Your Paid Marketing Campaign? If you are familiar with pay-per-click marketing, you are surely familiar with AdWords. But, if you aren’t, it’s about time you consult an excellent PPC marketing agency or an expert to explain it to you. Why? Because AdWords is not just a way to advertise; it is a phenomenon. Retailers and general merchants like Amazon and eBay make number 2 customers of Google advertising. So, do you know now how that pretty much ordinary merchandise from eBay and Amazon ends up on no.1 rank on a Google Search Page? AdWords is how. The art of getting there on the top, however, doesn’t just lie in making a large investment on Google AdWords, but on using that investment wisely. Any expert, any agency that is well-versed with Google AdWords is bound to tell you what a vital role the ad, per se, has in your ad campaign. Writing the ad copy is something you cannot afford to goof up with, just like you cannot goof up with bidding on the right keywords and targeting the right audience. So, here, in this post, I’d very well like you to promenade with me through some pro tips for writing an effective AdWords copy. So, you are selling the same shoes as Amazon is, or you are offering the same data protection services as your competitor. Why should I, the audience, not buy from them, but from you? That, my friend, is the question. So, what you need to tell your audience about your USP. Ordinary just won’t do. Would it now? What extra do you have that your competitor doesn’t – baffling variety, free delivery, lowest prices, heavy discounts, out of the world features? What you need to sell yourself is your USP. Without mentioning that in your ad copy, there is no big deal that you are offering. So, even if you are a kind of a big deal, but you can’t tell it, your ad doesn’t matter. However, even if you’re not a kind of big deal, but you can present that one impressive feature that you have to offer, you can get there. Well, this is a rather commonsensical point since the entire concept of AdWords revolves around keywords. But, well, it needs to be mentioned lest you should get carried away with the wave of creativity and forget to insert the keyword in your ad copy. An expert would have Ad Groups and keywords lists including negative keywords. Using these keywords in different ads is a must. Else you are missing the whole point. Just make sure that the keywords stay relevant to what you have to offer in that particular ad. Being specific works very well for ads. These are super specific offers, and boy! Do they work? These sort of specific ads are just what will get you the clicks. And, not just that, these are also likely to increase your CTR (click-through rate), which means, increased ROI on AdWords. The aim of AdWords is to get clicks and convert those clicks into leads and to convert them into closed deals. How do you get your audience to click? You need clicks, but you cannot say “click here”. That is the irony of AdWords. How to get the clicks then? You could, in fact even throw in a countdown timer that keeps telling them how little time they have to avail an offer. The sense of the impending loss can trigger a sense of urgency in your audience. Don’t be afraid to do it. The biggest of e-commerce brands, in fact, do it all the time. That’s how we roll. So, put a compelling call to action. Period. Don’t you forget that the present day world accesses so much on mobile devices? When more than 3 quarters of Internet users prefer to use their phone for Googling, it is imperative that we focus on mobile device users. Here is where ad extensions come in. If you are a local business, people would very well want to know where you are located. Location Extension will come in handy here. If you are a service provider, people may prefer calling you. Won’t you want to provide them with the ease of calling you in one tap? Use the Call Extension. Do use Ad Extensions to add vital information to your copy. And, test them for mobile ad preview. The appearance can be different on the desktop version and on the mobile version. Make sure that you use the right URL in the ad. Redirecting the user to the home page doesn’t make sense because it will only increase the bounce rate. Once the user gets interested in your ad, it is incumbent upon you to get them to the right page and the right product or service. So, make sure that you put in the right URL that takes the user to the right landing page. Also, make sure that you proofread your ad for grammatical and typographical errors. Very often, a simple typo error or bad grammar can shear your brand of the image it must maintain. It mitigates authenticity and trust that you must gain from the audience. Don’t forget to keep testing. You cannot rely on one ad to do the magic. You must make 3-4 ads for each ad group and use the analytics to see which is performing better and which hasn’t received much attention. A/B testing is the soul of all inbound marketing. So, test away!